Did you know that each year in the United States roughly 400,000 people die from smoking? Death by smoking is 100% preventable! Do not smoke and you will not die from smoking. 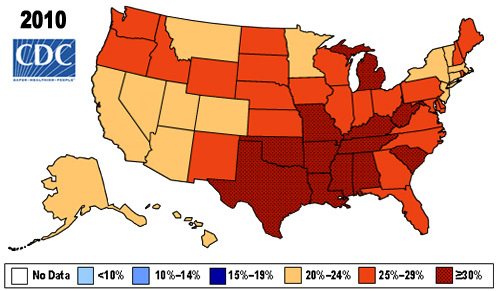 Did you know, in America, roughly 1 out of every 3 people is overweight or obese? That is 102,825,333 people who have an increased risk of contracting heart disease, cancer, stroke, or diabetes. They are more prone to high cholesterol, high blood pressure, osteoarthritis, asthma, and sleep apnea (where you STOP BREATHING during sleep). There is a solution! Live a life of health. Be physically active. Eat healthy, real food. Find fit in your life! Finding fit is about discovering the information needed to make the healthy change in your life. My mission is to educate and empower individuals to lead a fit, healthy life. We all need different tools to be healthy. No one individual is the same as another; so what works for you may not work for someone else. This is one reason diets and detoxes fail. They try to be a one size fits all solution. In addition, they are not a sustainable way of life. Instead, it is crucial that you learn the foundations for living a healthy life. I will teach you these foundations and how to apply them to your life no matter what level of fitness you are. Are you a Chooser, Wanderer, or Optimizer? Chooser- A chooser is someone that realizes they need to make a change. They have decided that their current health is not acceptable to them and they choose to make a change for the better. They are beginning their journey toward finding fit in their life. Wanderer- A wanderer feels lost. They are overwhelmed by the onslaught of information and choices the media throws at them. A wanderer also is unlearned. They are trying to live a healthy life, but they truly don’t know the path to take toward leading a healthy life. Optimizer- The optimizer is one that lives pretty healthy…(most of the time). They want to know- How can I improve? They are looking for new ideas, different foods, and alternative exercises to maximize their efforts. The optimizer is looking for the greatest possible level of health and fitness for their life. Find your category? Fit into more than one? I jump around and so can you. It is a daily choice to live healthy. So whatever your reason- kids, health concerns, happiness, appearance, or optimizing your health, now is the time. Today is the day to begin your journey to finding fit in your life. Are you ready? Tell me if you are a Chooser, Wanderer, or Optimizer and why you want to find fit in your life. Do you know someone that is looking to improve their health and find fit? 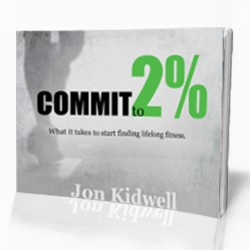 Refer them to www.jonkidwell.com or to our Facebook page at www.facebook.com/findfit.